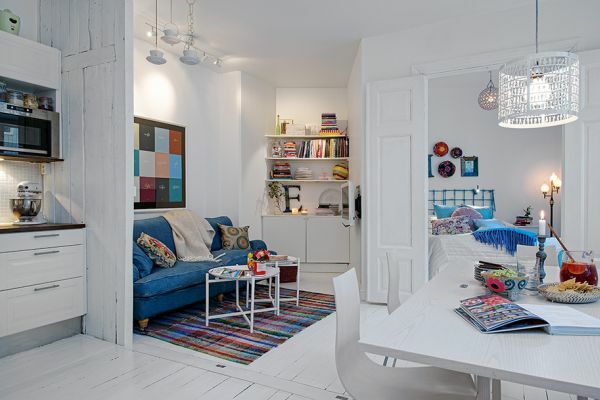 Almost all the apartment and houses from Sweden we’ve ever shown you had this very simple and bright interior design. It’s a very beautiful style that is based on few but clear lines. Still, there are all sorts of variations. Some apartments, this one included, feature an interior with a white background color but they are complemented by colorful accents in the form of furniture, artwork, decorations and other items.